Beautiful Home Features Master On The Main 2 Story with 4 bed./2.5 bath . 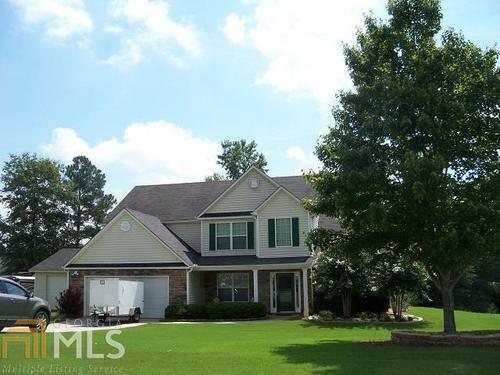 Beautiful home features master on the main, plus 3 large bedrooms upstairs. 2.5 baths Upgrades include granite counter tops in kitchen and baths. New ceramic tile floors in family room, kitchen and laundry room. Seller has added an additional 2 car garage and oversized patio.